Remember the time when prime-time theme songs were actually good? Me neither. Unfortunately the days of Faith Hill's Sunday Night Football theme, and Hank Williams Jr. original Monday Night Football theme, are long gone. Last night Carrie Underwood debuted an updated version of the SNF theme song, which isn't far off from Faith Hill's interpretation, but still seems a little off. But the monstrosity that was released tonight on MNF was a different story. 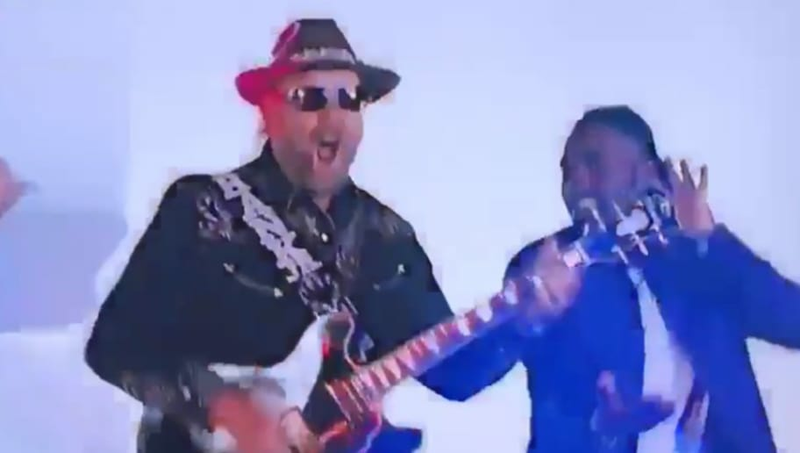 ​​The new theme song marked the return of Hank Williams Jr., who was dropped from the show six years ago after he likened a golf game to President Barack Obama and then-Speaker of the House John Boehner to Adolf Hitler golfing with Israeli Prime Minister Benjamin Netanyahu, and referred to President Obama and Vice President Joe Biden as "the enemy." But ESPN gave Williams Jr., his "Rowdy Friends," and the famous "are you ready for some football?" line a second shot, because isn't that what the U.S.A. is all about? However, the MNF 2.0 theme is such a mess. ESPN clearly tries to take off the emphasis off of Williams Jr. by introducing new artists to the song, including a black artist rocking right along side Williams Jr.--really ESPN how much more obvious do you have to get? ​Williams Jr. ends up being an afterthought in a song with so many contrasting influences. The song ends up sounding like a bunch of voices trying to shout over one another. I need to find the person who has ever had the thought: man, this country song seem could really use an EDM influence.